Businesses have started giving preference to social media platforms. For that focus on the development of social media strategy is there in marketing and PR campaigns. Good quality content created, shared and distributed to bring online business visibility, drive traffic to the website and thus convert visitors into customers. LinuxHost.net listing hosting companies stress on visitor's reviews and ask companies to use them effectively to reach their audience and promote services. The website has become the most familiar online medium to reach hosting customers. The hosting companies can contact the LinuxHost.net PR team to get their digital information created and disseminated. The website would keep updating the latest information and news related to hosting on listing page. The visitors are welcome to write feedback or comments and share the same on social media platforms. E-commerce seems to grow rapidly, and it is becoming a requirement to have an online presence. Shopping carts allow you to remove headaches of maintaining a server, dealing with software issues and much more. This shopping cart solution is a bit expensive but proved to be a better option instead of hiring an IT person. Below is the some best solutions and setup in no time flat. So let’s have a look and see best suits your needs. Unlimited Design Flexibility- Through design flexibility feature, a customer can design their eCommerce store without any limitations. Develop buying experience on each device according to customer requirement. No Hidden Fees- Customer can use nay payment processor without worrying about paying any transaction fees. Shopify offers a 14-day trial, no credit card required. The customer would not charge for any setup or cancellation. Plans based on a month to month basis. Users can subscribe for one year contract, for a discount of 10%. For a two-year contract, a customer gets 20% discount. Lite Plan- $9/mo, transaction fee 2%. However, no transaction fee if a customer uses Shopify payment. However, there will be variable transaction fee, according to plan. With their basic plan get- unlimited bandwidth, products, and online storage. Also, get Facebook integration and chat & email support. Basic Plan- $29/mo, transaction fee 2%. Get 24/7 support, free card reader, online blog and storage, discount code engine and Pinterest integration. Pro Plan- $79/mo, transaction fee 1%. This plan also includes features such as gift cards, abandoned cart recovery, and professional reports. Unlimited Plan- $179/mo, transaction fee 0.5%. Includes features like real time carrier shipping and advanced report builder. Brilliant Themes- Themes created by modern designers such as Clearleft, Happy Cog, and the Pixel Union. Mobile Commerce- Shopify store comes with built-in mobile commerce shopping cart. A customer can browse and purchase through using a tablet or cell phone. Edit CSS and HTML- Get full access to CSS and HTML that makes easy to customize every aspect of a website. Spark Pay provides a capability to operate multiple shops with a single backend. This feature is for those who want to run more than one site. SparkPay is also known as a web-based shopping cart. No data backup or downloading required. SparkPay provides a 14-day trial, no credit card required. Their accounts include free shared SSL and transaction or set-up fees. Charged for additional stores is $39/mo. Spark pay offers multi-storefront capability. This software allows managing different online stores from a single backend. Orders are taken on Facebook or smartphones also. Bigcommerce plans package offers a 15-day trial, without a credit card. No setup and cancellation fees. If a customer pays upfront for a year, get a discount of 10%. Their Standard plan costs $29.95/mo along with unlimited bandwidth, storage, and product. Next is Plus Plan, costs $79.95/mo, with abandoned cart saver, advanced analytics, no transaction fees and real-time shipping. The last one is Enterprise plan, which is custom tailored solution for high needs. A lot of people are happy due to no transaction fees. Bigcommerce also offer a user-friendly search engine and built in SEO functionality. The customer gets some carts font offer also. Their technical support is good. Apart from these popular shopping carts, some other good shopping cart is also available in the industry. 3dCart, the gold award winner, Volusion- silver award winner, woocommerce, Wazala and much more. Creating shopping cart online is simple with right software and tools. Whenever customers visit your website, they come to a decision to stay on your site or not? So ‘First impression is the last impression.' All your business mainly depends on site’s themes and presentations, so it should be brilliant in appearance and extraordinary. If we talk about eCommerce themes, plenty of places offering a variety of e-commerce Themes and can be downloaded directly from those sites. One of the major eCommerce platforms is ‘BigCommerce,' for rapid growth and offer beautiful items for the customers. Recently, Bigcommerce has introduced 67 new and responsive themes for the merchants, so that they can express brands power and online businesses. The company is a great platform for many businesses, small and big and making a process of creating online store automated and functional. Since after launch of new themes, Bigcommerce also introduced multiple stores including GolfEtail, a famous sports equipment supplier and celebrity designer LaQuan Smith. The new themes come with advanced features only available with fully customized storefronts. After collaboration with the Pixel Union, merchants who wish to purchase themes from Bigcommerce marketplace will get current updates, sound support and enhanced functionality provided by the Pixel Union. Apart from this, Bigcommerce is planning to open full customizability for all themes with full access to CSS and HTML. Due to this, big brands need more extensive customization to partner easily with developers and designers to create an exceptional storefront for business and brand. Today, the hyper-competitive market sells not only a single product but a whole experience to the buyer. That is why; Bigcommerce has launched responsive themes for merchants so that they can make an excellent impression on shoppers. Customizations- Retailers customize the look and feel their E-stores in real time. It includes color and font palettes, featured and top-selling collections, social media icons, branding and so on. Optimized single page checkout- Retailers get up to 12% increase in conversion through new checkout experience. Search functionality- This will improve user experience by providing a customer for filtering, search and buy products quickly. Bigcommerce’s primary focus on offering customer these new themes that support merchants communicate brand better and maintain flexible relationships with clients. Merchants want their theme’s navigation to make it simple for users to find a way around the site. Customers quickly add products to the cart subscribe your newsletter, get to the checkout and more. Through these new themes, Bigcommerce put a lot of thought into a user experience. Here if a customer enters, never get confused or doesn’t know what to do next. Bigcommerce provides a variety of responsive themes in the marketplace. The installation process of their theme is very simple and straightforward. Knowledge of basic CSS or HTML helps in easy editing. Their premium themes are extra fancy and feature rich you can pay for. A benefit of using this premium theme is to design an online website that looks professional to the visitors. You can select any template as a base design and get it upgraded by an expert designer who will make required adjustment. Overall, Bigcommerce themes are stylish, unique, clean and functional. Their paid themes have more features, which is refreshing. They also offer mobile responsive templates on all store themes. Moreover, integration capabilities include plug-in and apps on the mobile store. Bigcommerce also provide a unique set of advanced tools and services for their customers to create E-stores. This company is the best option for small and medium-sized business owners. Things you should bear in mind before you hire Cheap WordPress Hosting providers. Now when it comes to using a tool for successful CMS, the first thing comes to mind is WordPress. Initially, this tool was first used a lot for blogging purposes but the popularity of the tool it was also used for optimizing websites. People like to believe that when combined with a server system that is secured and utilized properly. The platform provided by the service provider should be compatible with PHP script, Stylesheet, and MYSQL Database. The uptime is something that you should pay close attention to at all times. If you are using your website for blogging or business, then you must make sure that the service provider gives you more than decent uptime. Updating of CMS and upgrading the server is required by most clients who want to go in for WordPress hosting. A customer would not want his website to go offline at any time. So when you hire a cheap WordPress hosting provider, you must make sure that the service provider gives you right amount of backup online. The bandwidth and space given also need to take into consideration. Especially if you are using your website to upload a lot of audiovisual elements. If the cheap WordPress hosting provider offers good bandwidth, then you can enjoy a good amount of space for storage. 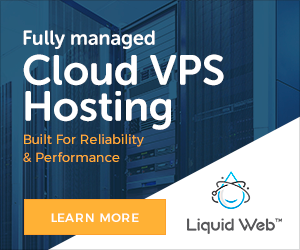 However, before you sign up with a particular cheap WordPress hosting provider, you should first analyze your requirements and then sign up for a particular package. Customer support is the area that you should pay particular attention to at all times. The service provider should be ready to help the customers when they are facing technical problems with the services offered by the band. 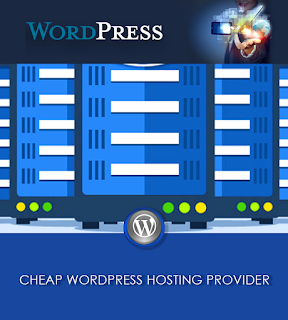 The cheap WordPress hosting provider should also provide you with various hosting plans and special plug-ins for your site. Now in your quest to locate a cheap WordPress hosting provider you come across many service providers but not all of them give you exactly;y what you are looking for so you have to be very cautious while deciding on the company that you wish. Delivery of software and information as a service rather than a product through shared resources over Internet. Services Offered under "Cloud Computing"
SaaS (Software as a Service) delivers a single application through the browser to a plethora of customers utilizing a multitenant architecture. PaaS (Platform as a service) is a variation of SaaS where the platform as a service provided for applications to run. MSP (Managed service provider) is an application which manages IT and its applications rather than being useful directly to the end users e.g. virus scanning nd anti-spam services. 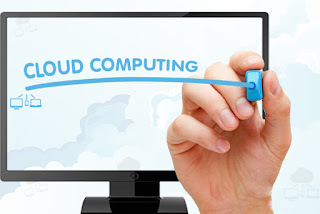 DaaS (Desktop As a Service) Virtual Desktop is provided, that connects to applications and data which are stored on cloud provider's server.